The latest issue of 'CRAZY QUILT QUARTERLY' magazine is now available!! I am so proud to be part of this amazing magazine that is just getting better and better. This issue is a special one that focuses on Seascapes and is chock full of amazing eye candy and how to's that any crazy quilter would love to see. Today the quote is from H. Jackson Brown....."Never underestimate your power to change yourself; never overestimate your power to change others"
Dotee Dolls were the original creation of Dot Christian and have become very popular all over the world. Go HERE to visit Veronica and read her post about the creation of Roxy (while you're there, explore her blog and you will meet all sorts of little Dotees!). Thank you SO much Veronica - I love her!! Yesterday we drove over (four hours each way!) to pick up my books. I am so happy to have that project finished and out of the way. I can't celebrate too much though, because there's still another one to go, equally as long (this one is 500 pages). 40 copies of these equals a LOT of weight!!! Today the quote is from Joseph Chilton Pearce.... "To live a creative life, we must lose our fear of being wrong"
Over the weekend I finished up the photo album cover that utilized a special heirloom hankie on the cover. Hopefully the recipient will like it! The front cover with the lace-edged hankie to the left of the cross-stitched 'Photos'. The back. This was made with a piece of harvested wedding dress satin with a couple more hankies for added interest. It's hard to tell from this picture, but the entire thing stands about three feet tall. The vase itself is stunning and it's filled with layers of beautiful stones and pretty coloured sand. Perhaps if you click and embiggen the picture you can see it better. Now the trick will be to keep it alive!! Edited to add: Linking up with SuperMomNoCape's linkie party HERE. Today's quote is from James Russell Lowell...."All the beautiful sentiments in the world weigh less than a single lovely action"
And yes, I know that I have two Quilt-zzzzz on the go; plus my crazy quilting class (with Kathy Shaw) work; plus my Oriental-themed hussif...so what am I doing starting yet ANOTHER project?? Startitis indeed! Oh, and here's a little announcement that some of you may be interested in. Sarah Whittle has announced that she has decided against closing the 'Hand Embroidery Network'. There are a lot of embroiderers who were very sad that she had contemplated closing it and are now very happy to see that it will continue. If you're interested in what it's all about go HERE. Today I have a quote from Horace.... "He who has begun has half done. Dare to be wise; begin!" I'm posting early today because it has come to my attention that I needed to let you know about the latest free crazy quilt online class by Kathy Shaw (Shawkl) that's open for registration. Registration closes later today so you'll have to hurry if you want to sign up (so sorry I didn't get this out there sooner!). Anyway, this class is one of her intermediate ones (Piecing CQ Blocks) and you must have completed her beginner's class in order to register. Her classes are free and are absolutely chock-full of information and gentle guidance. I highly recommend them! Go HERE for further info. 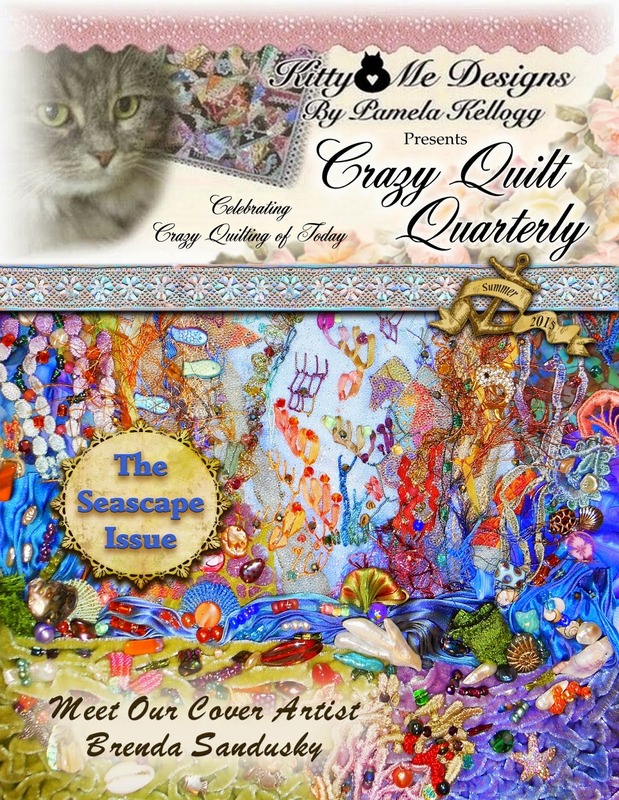 The other announcement I have is that Pam Kellogg (Kitty and Me Designs) and the owner of the 'Crazy Quilt Quarterly' magazine has put the call out for submissions for the autumn issue. If you've done anything that is fall related in crazy quilting, please consider forwarding photos of your work to her for possible inclusion in the magazine. She's also looking for tutorials, so if you create something that might be of interest to her readers please let her know. The magazine is only as successful as the crazy quilt community makes it, so don't be shy! We want to see your work (and I can say from experience that it's a thrill to see what you've done in print!!). Go HERE for submission guidelines. Pam is also looking for advertising content for the magazine. If you would like to promote your blog, your etsy shop, your stitch group, or if you sell CQ supplies the magazine is a great way to do it. Go HERE for further information on that. Today's quote is from Joan Bauer.... "Too many people try to fake their way through life. That's why the real ones shine so brightly"
A couple of people were interested in knowing where I got all the sewing supplies I showed you yesterday, so here you go...... A Great Notion Sewing Supply Ltd., which is a Canadian company based in Surrey, British Columbia (www.agreatnotion.com). They have a print catalogue as well as a web site. It's hard to get a picture of the entire thing, so you will have to use your imagination and 'piece' these two pictures together! Can you see the blue piece of fabric (with the pin in it) on the right side of the lower picture? That's a piece of my mother's wedding dress that she wore over 60 years ago. Not Oriental perhaps, but beautiful all the same. Today your quote is by Anonymous.... "If you can't find the bright side in life, polish the dull side"
This afternoon the mailman arrived at my door with a lovely parcel of goodies that I had ordered to treat myself. I've been using the wonderful fork pins (Clover) on the right side of the picture to help with putting together The Quilt-zzzz thanks to my friend loaning me some to try out. They are so helpful that I decided I had to have some of my own. Not that I plan to be putting together any more quilts (!!) but they will be handy when I need perfectly matched seams. Two new thimbles to try out; a disappearing marker; some new sewing pins and a package of 6 spools of 'Cotton Petites' threads by Sulky. According to the package "One strand of 12 wt. Cotton Petites equals two strands of typical embroidery floss" - it will be fun to play with these. The colours are wonderful!! For those of you who like to embroider, you might find the tutorials HERE of interest (found via Judy Cooper...thank you!). And for those of you who like stumpwork, or just want to make a sweet little ladybug, go HERE for a tutorial. Today the quote is from Allen Klein.... "We become so overwhelmed by illness, death and grief that we forget that humour, like the moon, can bring light to our darkest times"
Today the quote is from Sophocles.... "One word frees us of all the weight and pain of life: That word is love"
Of course I'm rather biased, but we do have one of the cutest grandsons in the world, especially when he's nice enough (or at least his mother is!!) to sport the not-so-wonderful sweater I knitted for him. his footsteps and become a chef!! Today the quote is from George Bernard Shaw.... "Life is a flame that is always burning itself out, but it catches fire again every time a child is born"
Alas, I have no pictures for you today. The work on the Quilt-zzzzz continues along with two borders remaining to sew and the king-size top will be done. There's a grand shovel-out happening in the studio at Chez Magpie as well in order to make room for an overnight visit from #1 son, daughter-in-love and grandson. Sharing my creative space with the spare bedroom means something's gotta give so there's room for them to sleep! 1. Mary Corbet has posted a sweet tutorial on how to embroider the tulip stitch on her blog HERE. While you're visiting her blog, pour yourself a cuppa, and take some time too look around. There's a wealth of information! 2. Kathy Shaw has announced the registrations are now open for her Intermediate Crazy Quilt class (Module # 102) is open, but only on April 10, 11, and 12th. You need to hurry if you want to sign up! Go HERE for further information. There's some sad news in the crazy quilting world today with the passing of Leslie Ehrlich. She was well known and certainly will be missed by her family and all who knew her. 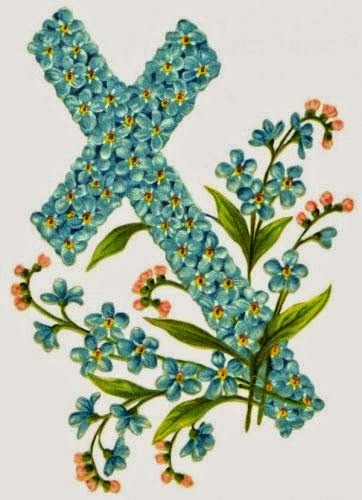 Today I will give you a quote from Thomas Campbell.... "To live in hearts we leave behind is not to die"
Last night I was invited to the local evening quilt guild meeting in order to judge (moi? who knew??) a crazy quilt competition they had. Several months ago the organizers of the guild offered up a challenge to their members to create something using 'goodies' that were provided. Each member who wanted to participate was given a brown bag filled with fabrics, beads, and other treasures and the members were sent home to be creative. The results were pretty amazing and it was a difficult job to choose just three that were winners. I bent the rules somewhat and not only chose three, but also chose a couple of honourable mentions. It wasn't easy to pick a winner from among all those great projects, but finally I chose the wonderful bunny (in the first photo). I know, from experience, how difficult it is to create a stuffed toy using crazy quilted elements and there was a LOT of lovely embroidery and embellishment on this bunny. Definitely a winner, don't you think? I have an update on my book (remember all that angst I went through trying to insert pictures? )....well, it's in the process of being printed right now and in a couple of weeks I should have them in my hands. I got the proof copy yesterday and I'm quite happy with how it looks so far. Today the quote is from Henry van Dyke...."The first day of spring is one thing, and the first spring day is another. The difference between them is sometimes as great as a month" It appears that Mr. Van Dyke is going to be proven right this year!! Apology - and - mini celebration - oh yeah - and some mumbling too!!! First of all, I must apologize for the quality of the pictures you are about to see. It's an absolutely miserable day here - raining and threatening to turn to the freezing sort. Good day to be inside with my sewing machine working on #1 of 'The Quilt-zzzzz'. I got the top pretty much done and only (!!) have to add a 7" plain border all around and then figure out how on earth I'm going to press it on my little weeny 'thing' that passes for an ironing board. Might go knocking on neighbours doors looking for the loan of a proper ironing board - I'm sure somebody will have one. Our bed is a queen size, and this quilt is a king, so the 'fit' isn't right. Not only that, our bedroom is on the small size and unless I climb out the window (three story drop, plus afraid of heights = not gonna happen) I can't get far enough away to get a decent photo. Because these photos aren't wonderful, I thought I'd send you over to see something that IS amazing. I love handmade glass pieces and I must say that once I win that ever-elusive lottery I will be purchasing one of these!! Be sure to scroll down. Something else of interest can be found HERE. Connie Eyberg has done a great tutorial on how to make beautiful flowers out of children's nylon stockings and some wire. Today's quote is from Doug Larson.... "Spring is when you feel like whistling even with a shoe full of slush"
I don't think I'm stubborn. Not at all. No way. White ribbon is not staying!! 'This' is the a crocheted baby dress that I have wanted to make for the longest time and finally have a reason to. No, don't get excited, no more grandbabies on my horizon at the moment, but my friend is expecting a wee granddaughter soon so this was the perfect pattern to make. It seems to me that any pattern that is published in a reputable magazine should have been tested prior to publication. You'd think. Well, this one quite obviously wasn't. Was.... not. The person that wrote the pattern not only didn't use common crocheting terminology, but she also left just a LOT teeny little bit of room for 'creativity'. Ummmm - Creativity, in that I had to re-write the entire pattern!! There was much muttering, tearing out, and creative license taken to create what you see above. There were even a couple of expletives (I assure you, they were ladylike). The end result is that I still love this little dress, but it's a one-off. There will never be another one. 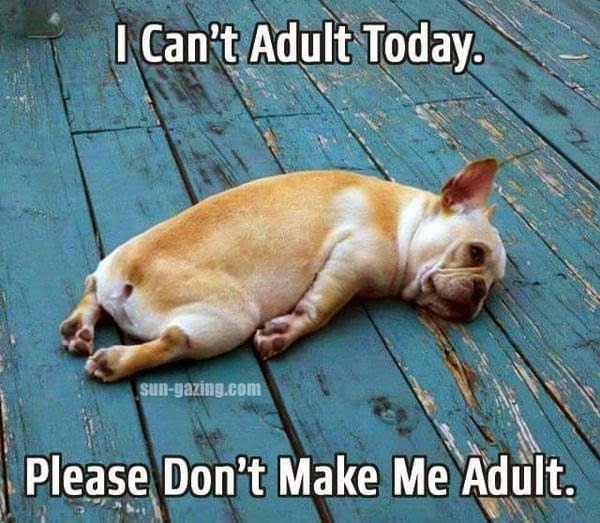 I can only carry stubbornness so far, after all! Today's quote is from Charles Haddon Spurgeon.... "By perseverance the snail reached the ark"
Yesterday DH and I decided, because it was such a nice day, that we should skip town and hit a few of our favourite thrift stores. Didn't find much (didn't need anything either!!) but I did come home with a sweet little tarnished silver pin dish. Not sure if it's 'real' silver, but it looks great. It leapt off the shelf and into my hands so how could I say no? It measures about 6" across. You all know by now that I help my friend Pam Kellogg of KittyandMeDesigns with her wonderful new 'Crazy Quilt Quarterly' magazine and she has just put up a sneak peek of the next issue on her blog. It will be available for purchase May 1st on MagCloud, and I will certainly let you know all the details so you can order your copy. This is a special issue devoted to seascapes and I know you will love it!! Go HERE to see her post. Today my quote is from Shakespeare... "If music be the food of love, play on"